The red-and-white Boeing 737 looked like any other plane on the tarmac at Orlando International Airport. But on a clear day last July, the plane became the first commercial flight powered by a new jet fuel made from sugar cane. 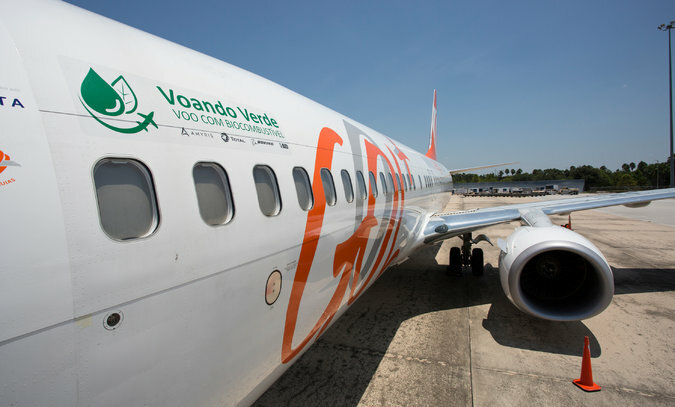 The passenger flight, operated by the Brazilian low-fare airline GOL, flew from Florida to São Paulo, Brazil, on a 10 percent blend of a clear liquid called farnesane mixed with regular jet fuel. This summer, farnesane became the third kind of renewable aviation fuel to earn approval from the standards agency ASTM International, in addition to the ones made from algae and oilseeds approved in recent years. More commercial airlines are considering using farnesane on limited flights, said John Melo, chief executive of Amyris, the biotech firm based in California that developed farnesane in a joint venture with Total, the French energy giant. In September, the German airline Lufthansa flew a passenger plane from Frankfurt to Berlin on farnesane, which can be mixed directly with petroleum jet fuel at a 10 percent blend without any changes to planes, engines or fueling equipment. Sugar cane fields in Brazil. Renewable bio-jet fuels like farnesane hold the elusive promise of better energy security, reduced carbon emissions and lower fuel costs — an increasingly pressing concern as international regulators prepare to tighten regulations. The global aviation industry has also set ambitious goals to reduce its greenhouse gas emissions, including slashing emissions by 50 percent by 2050 compared with 2005. To achieve these targets, renewable fuels could be one part of the puzzle. Farnesane can reduce greenhouse gas emissions by up to 80 percent compared with petroleum fuels, when compared unmixed to petroleum fuels on a one-to-one basis, according to Amyris. Renewable fuels like farnesane “would help reduce the carbon footprint of commercial aviation,” the Federal Aviation Administration said. However, there are significant hurdles to making bio-jet fuels mainstream, namely their high cost and barriers to mass production. Airlines like United, KLM and Alaska Airlines have flown planes powered by oil made from algae, used vegetable cooking oil and plants like camelina and jatropha. But in spite of initial excitement, commercial airlines have not widely adopted bio-jet fuels, mainly because of their high cost. But farnesane could be more commercially viable because it is produced in an Amyris-owned factory in Brazil, which has a robust policy and infrastructure to promote and produce biofuels. The Amyris plant in São Paulo state has a production capacity of 50 million liters a year. The company currently supplies renewable fuel to city buses in Brazil. Brazil is the world’s largest producer of sugar cane as well as the second-largest producer of ethanol. A majority of light vehicles on the roads in Brazil can run on ethanol, which is made from domestic sugar cane. Because of its large, existing biofuel infrastructure, millions of gallons of farnesane could be produced in Brazil, Mr. Melo said. Distribution is also not a barrier. Farnesane can be easily distributed to airlines for refueling, he said. 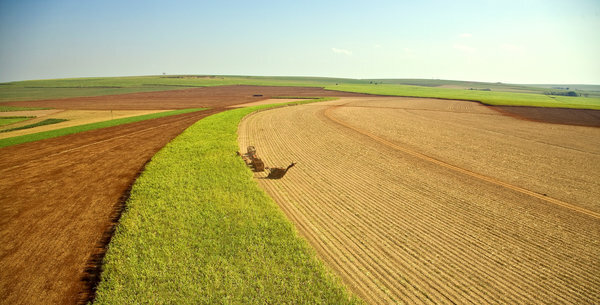 Daniel Rutherford, program manager at the International Council on Clean Transportation, noted that when assessing a biofuel’s overall environmental benefits, “what really matters is how the fuel is produced.” He added that Brazil’s sugar cane industry was highly productive and not very fossil fuel-intensive. However, the best way to “avoid the food versus fuel trade-off” would be to produce bio-jet fuels from waste like corn husks and tree bark through technology that is still being developed, he said. Amyris has been developing the technology behind farnesane for more than eight years with initial funding from venture capital and private equityfirms. In the last few years, the company received grants totaling about $10 million from the United States Energy Department to further develop fermentation technology. Farnesane is made through a fermentation process in which Amyris’s engineered yeast consumes sugar cane syrup to produce a hydrocarbon called farnesene. Through hydrogenation, hydrogen atoms are added to convert farnesene into a molecule called farnesane, which makes up the renewable jet fuel. Mr. Melo noted that Amyris was working on technology that could produce farnesane from other sources like organic waste. With farnesane, “there is nothing from a technical or aviation industry standpoint holding it back,” said Steve Csonka, executive director of the Commercial Aviation Alternative Fuels Initiative, a coalition of airline industry-related companies, researchers and government agencies. According to rigorous testing by plane makers like Boeing, farnesane and other types of approved bio-jet fuel actually perform better than conventional jet fuel. They also burn cleaner than conventional aviation fuel, said Julie Felgar, managing director of environmental strategy and integration for Boeing Commercial Airplanes. Because of close scrutiny, bio-jet fuels have to “perform as well as or better than regular jet fuel,” she said. This is a high bar because aviation fuel is more complex than fuel for cars and road vehicles. But for Amyris and other bio-jet fuel makers, the biggest challenge is bringing down the cost. The company would not disclose price per liter for farnesane, but Mr. Melo claimed it could match that of conventional jet fuel within two to three years. Amyris said it hoped the American government would drop protectionist policies that could hinder the sugar-based fuel in the United States.